Metal stamping allows for repeatability not always possible with other fabrication techniques, as well as the ability to create complex parts with close tolerances that exceed manufacturing specifications. We understand no prototype stamping is the same, so it is critical we have an inventory of presses to address our customers’ needs. Building on a strong foundation of sheet metal stamping capabilities, we have invested in unique stamping methods like hot stamping. Hot stamping allows us to press complex parts with high tensile strength, creating a form in a single lightweight piece, a growing requirement in automotive and aerospace applications. Another high value stamping method is deep draw stamping, a core competency of ours here at Duggan’s. 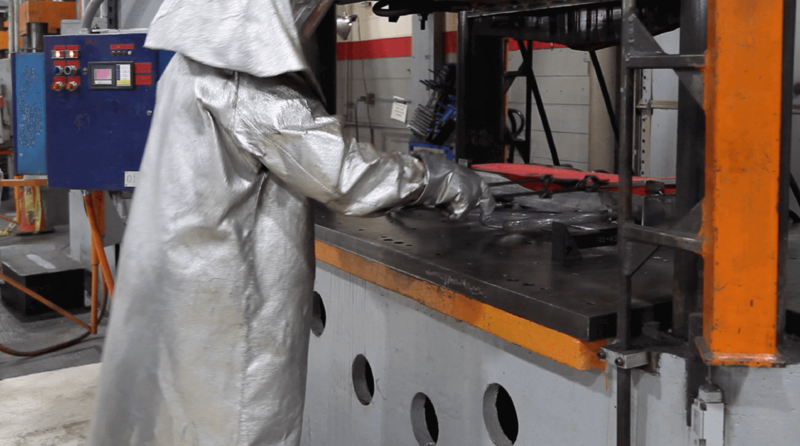 We start with a coil or sheet of flat metal and run it through our presses in such a way we can produce a part with a lot of radius, special features, no welding, no seams, no bolts, and no rivets, simplifying a typically complex process. 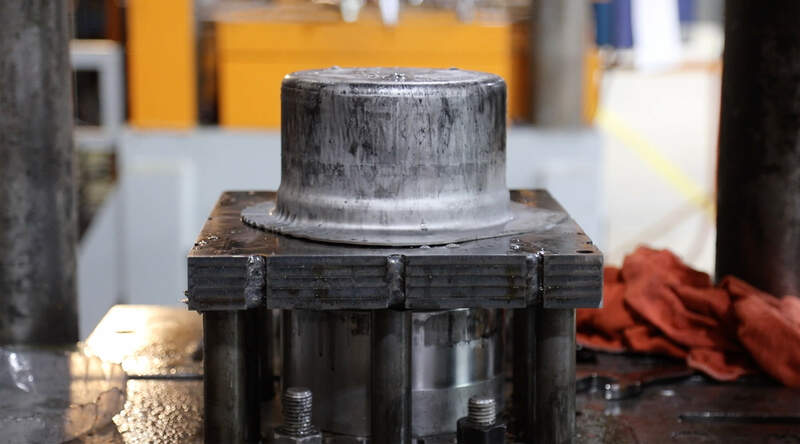 To top off our capabilities from a stamping perspective, we not only engineer and produce tooling in-house, but we have an industry leading metallurgy lab allowing us to inspect and control quality throughout a stamping operation, thus delivering parts more economically and at a precision greater than production tolerances. 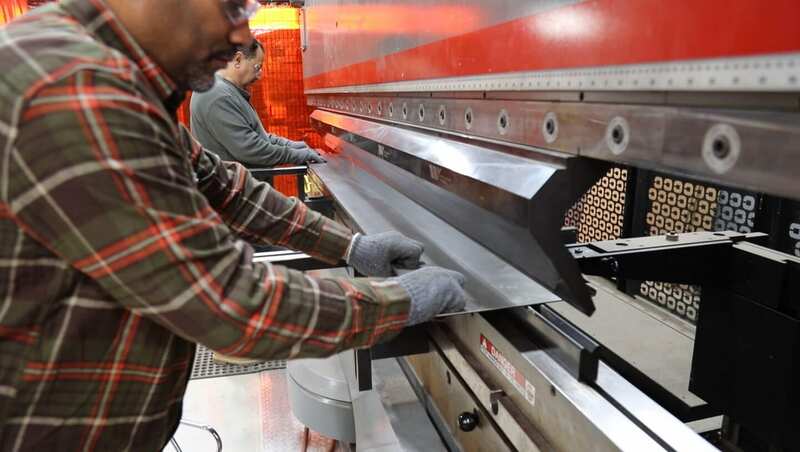 From prototyping and short run production to low volume production, we have the capabilities and capacity in our 105,000sq ft facility to meet our customers stamping needs. 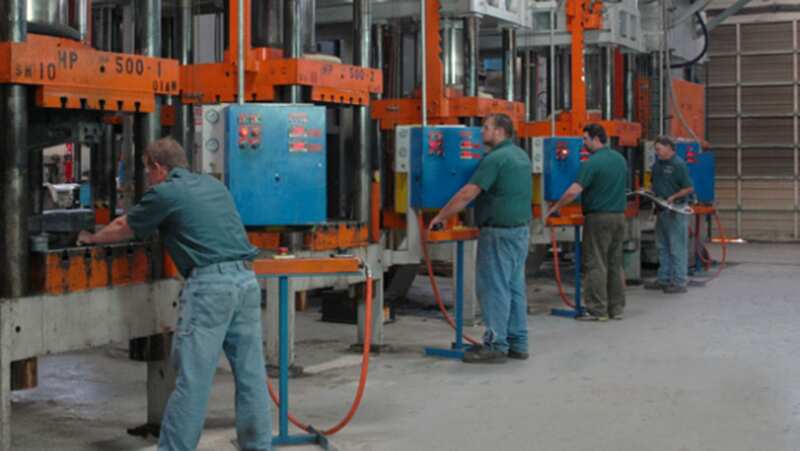 Duggan can close the gaps our customers experience when production parts are needed. We can respond quickly to solve these problems and keep our customers production on schedule. 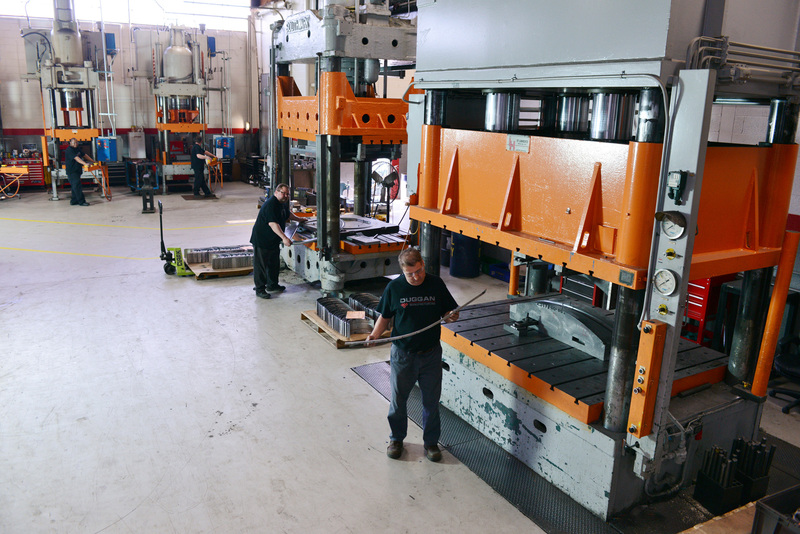 Our comprehensive inventory of over 60 presses allows Duggan to deliver both on demand, emergency stamping, short run production services and large quantity part production. We have learned a lot from stamping and fabricating parts over the years and we know what can go wrong, and how to run an efficient process while producing high quality parts. This experience makes it easier for Duggan to standardize and implement an approach that mimics mass production processes. Poka-yoke mechanisms, check aids, serialization, and key feature gauges are a few examples of these processes to name a few. In many cases this makes our client’s metal stamping production volumes a great fit for Duggan to produce. 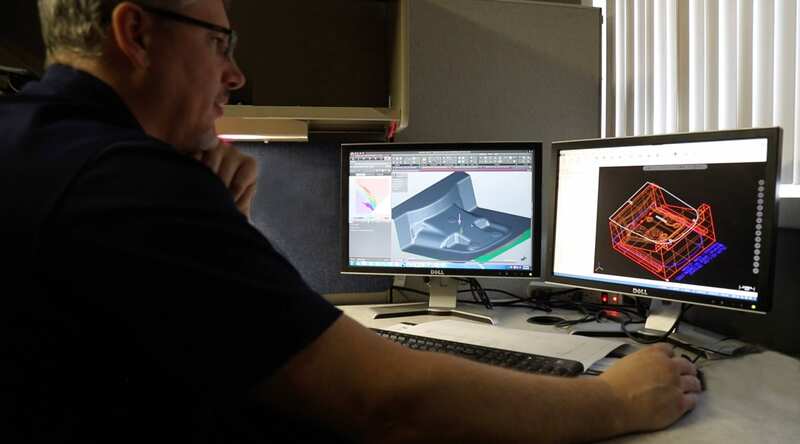 The tooling we use can withstand a minimum of 100,000 parts in many cases, and we can apply lessons learned so our know-how becomes a competitive advantage for our clients. The tooling strategy Duggan employs combined with our equipment investment and experience in this part category makes this a core competency. We currently have over 15 cushion presses, which is a best practice approach to making deep drawn metal stampings. Additional tooling is designed as a more complex three piece tool that promotes metal flow. We also utilize simulation software to verify our approach does not miss any blind spots. Hot stamping complex parts can be easily formed in a hydraulic press with single-step die. High tensile strength is achieved and the end result for structural parts is weight savings. 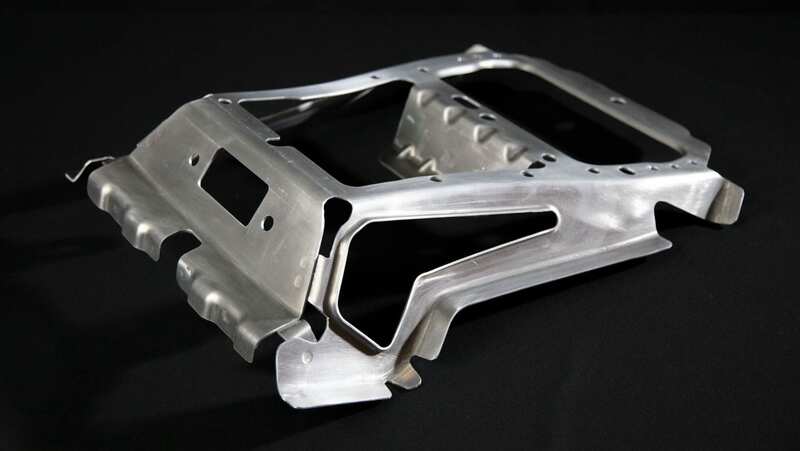 This ability to create lightweight parts makes hot stamping great for manufacturing any type of vehicle. 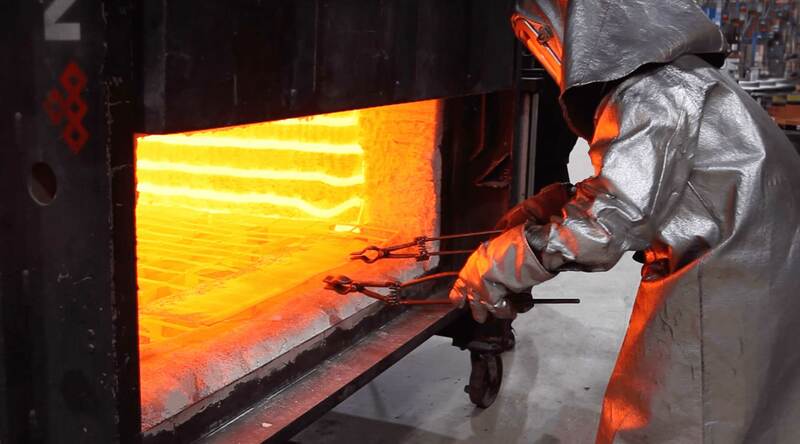 Hot stamping process sounds simple—heat a boron-based steel, titanium or aluminum blank until it is red-hot (more than 900 degrees), press it into a water-cooled die cavity, and keep it there for a few seconds while it cools. Unfortunately, you need more than this. We not only have years of experience hot stamping parts, but a metallurgical lab to test what the tensile and yield strength are in the stampings, tooling design expertise that promotes on part cooling and processes like laser and EDM wire cutting that can rapidly cut “dog bone sections” that can be rapidly tested. If it is a small bracket, large rails, or anything in between, we can handle it. For bent parts with an odd radius, or extremely large radius, we can utilize step bending. 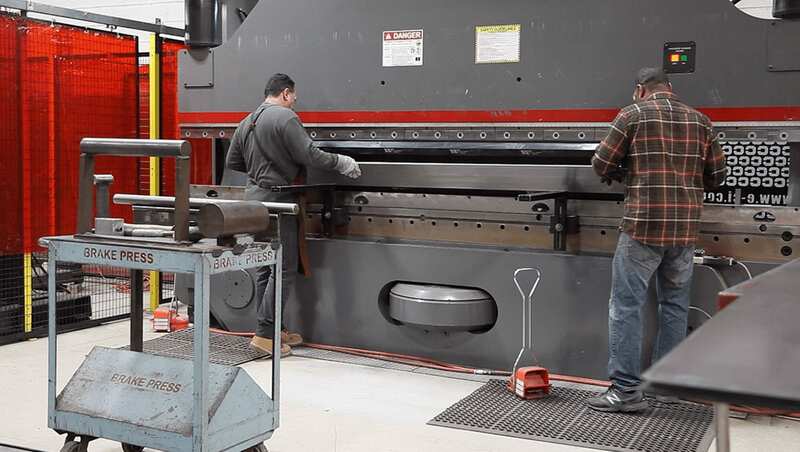 Step bending is where the CNC press brake is programmed to make a sequence of up to 100 small hits that when put in succession, will create one large radius. We have invested in a wide variety of tooling and have built up a large variety of punches and dies. This is an advantage for two reasons. First, work can be processed immediately after award with no lag created waiting for a tooling shipment. Also, there is no need to amortize new tooling into the piece price because our existing tooling is already here.